While looking forward to reunions with family and friends after nearly a full year in space — the longest flight ever by an American — Kelly says he still has enough gas in the tank for several more months in space if not another year, more than enough for a long-duration flight to Mars. The rationale behind the nearly year-long mission was to collect the most extensive data yet on the physical and psychological impacts of long-duration spaceflight, including a genetic comparison of Kelly and his twin brother Mark, a former shuttle commander who participated in many of the same experiments on Earth. 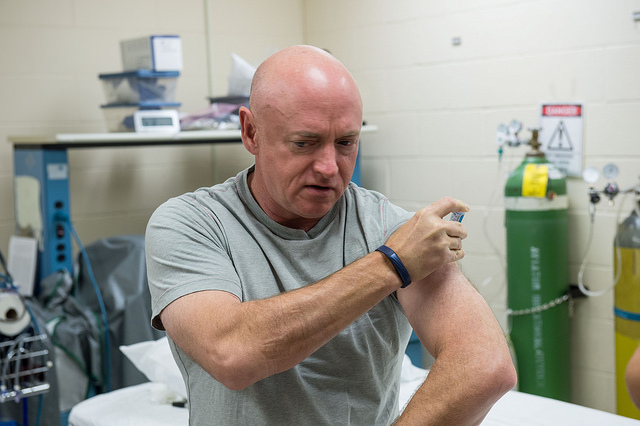 “From a subjective perspective, I think absolutely, I feel great,” Scott Kelly said. “But there are the things you can’t see, like bone loss and the effects of radiation on you at a genetic level, and that’s something we might not know about for years to come, how long term that amount of radiation has affected me. While he said he wouldn’t mind a filet mignon once back on Earth, what he really missed — and what he is looking forward to the most — is simply the experience of human companionship beyond the restricted confines of the space station. “It’s interesting, I look forward to fresh food, like a salad, believe it or not, stuff like that,” he told a NASA interviewer in January. “But specific things are not as important as the experience. Kelly, Kornienko and Soyuz TMA-18M commander Sergey Volkov, who is wrapping up his own 182-day stay in orbit, plan to undock from the station’s upper Poisk module at 8:02 p.m. EST (GMT-5) Tuesday, pulling away to a distance of about 12 miles. Then, at 10:32 p.m., Volkov, flanked on the left by Kornienko and on the right by Kelly, will oversee an automated four-minute 49-second firing of the Soyuz spacecraft’s braking rockets, slowing the ship by 286 mph to drop the far side of its orbit deep into Earth’s atmosphere for a descent to Kazakhstan. After a 25-minute free fall, the Soyuz descent module will slam into the discernible atmosphere at an altitude of about 62 miles, enduring about five minutes of extreme heating while descending to an altitude of about 20 miles. If all goes well, the descent module’s large parachute will deploy at an altitude of about 6.6 miles and the spacecraft will settle to a jarring rocket-assisted touchdown on the steppe of Kazakhstan, some 87 miles from Karaganda, at 11:25 p.m. (10:25 a.m. local time). A veteran of two space shuttle flights and a 159-day stay aboard the space station in 2010-11, Kelly has one previous Soyuz launch and landing to his credit, an experience that he said defies easy description. “The Soyuz is a pretty exciting ride back Earth, no question about it,” he said. “People who have flown in it previously will try to prepare you for it, but I think nothing really can until you’ve actually be there yourself and experienced it. it’s definitely an eye opener! 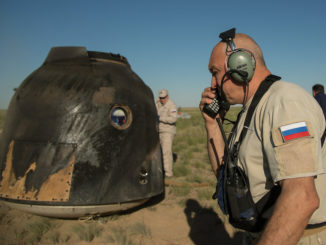 Russian recovery forces stationed near the landing site will help the returning space fliers out of the descent module, carrying them to nearby recliners for initial medical checks and satellite phone calls home to friends and family. All returning station crew face a battery of tests to determine their condition and to help with their re-adaptation to gravity. But Kelly and Kornienko will face more extensive checks than usual because of the long duration of their flight and the numerous experiments they are subject to. Some tests will be as simple as having Kelly and Kornienko stand up and sit down, and moving about the tent on their own “to look at our physiology (as we) adjust to those different positions.” And then there are the blood draws, scans and detailed laboratory analysis to precisely measure how their bodies re-adapt to gravity. “No such thing as time off from the medical guys,” NASA Administrator Charles Bolden told CBS Radio. “Because he is a walking, breathing, living medical specimen, time is of the essence. When they pull him out of the capsule and they get him on the airplane headed back to Houston, medical tests begin immediately. Kelly, Kornienko and Volkov will be flown by helicopter to Karaganda. From there, Volkov and Kornienko will head back to Star City near Moscow for additional tests and debriefing while Kelly will fly back to the Johnson Space Center in Houston aboard a NASA jet, arriving late in the evening on March 2. After additional medical checks, Kelly said his top priority is going home and taking a shower or jumping in his pool — a chilly prospect given Houston’s recent weather. Kelly and Kornienko joined cosmonaut Gennady Padalka for the flight to the space station last March. Padalka then returned to Earth the following September, in the process becoming the world’s most experienced spaceman with 878 days in orbit over five flights. 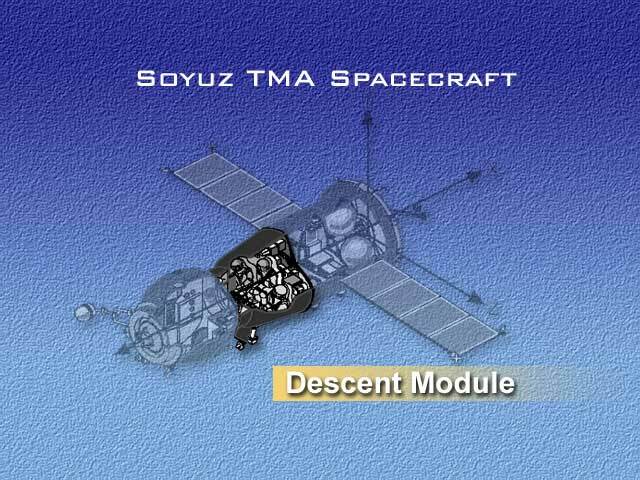 The TMA-16M spacecraft was replaced by TMA-18, delivered by Volkov, who at landing will have logged 548 days in space over three flights. 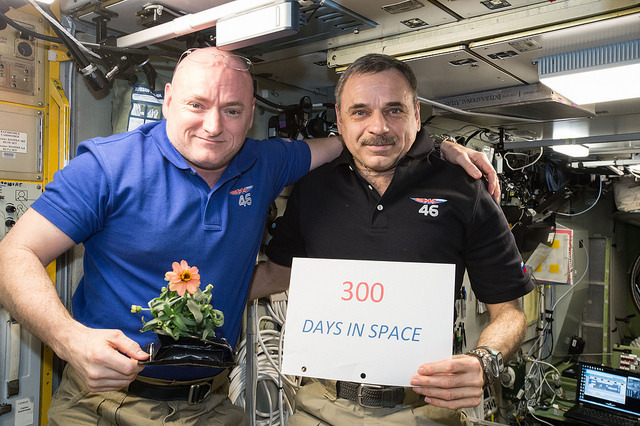 During the course of their stay in space, Kelly and Kornienko covered more than 143,840,000 miles over the course of 5,440 orbits, witnessing some 10,900 sunrises and sunsets. They helped or participated in six spacewalks — Kelly carried out three EVAs while Kornienko participated in one — they welcomed six unpiloted supply ships and three Soyuz crew ferry craft. 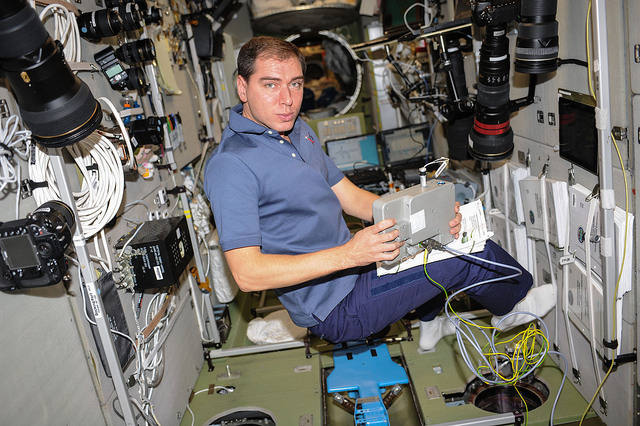 Kelly and his U.S. and European crewmates participated in some 400 on-board experiments in a wide range of disciplines, including fluid physics, materials science, biology, animal research and the medical studies to learn more about the effects of spaceflight on human physiology and psychology. And, according to The New York Times, Kelly will have consumed 193 gallons of recycled urine and sweat, jogged 648 miles on station treadmills and posted some 713 photos on Instagram. And he also found time to generate a few laughs. He recently donned a gorilla suit, chasing British astronaut Timothy Peake through the station in a short, widely-viewed video posted on Twitter. The idea came from his twin brother, Mark. But the science of long-duration spaceflight was the name of the game. Four Russians spent more than a full year in space aboard the Mir space station. Vladimir Titov and Musa Manarov each logged 366 days aloft while Sergei Avdeyev spent 380 days in orbit and Valery Polyakov logged 438 days. Kelly and Kornienko represent just two data points and more research will be needed before astronauts head out to Mars. One major unknown is the effects of space radiation beyond the protection of the Van Allen belts that shield Earth from the effects of solar storms. Another major question mark is the effects of weightlessness on vision. Many astronauts suffer changes in weightlessness that affect the shape of their eyeballs and the acuity of their vision. Some make near or complete recoveries once back on Earth, both others do not. And then there is the twins research. Starting well before launch, the Kelly twins were subjected to the same tests, blood draws, medical scans and the collection of urine and saliva samples. 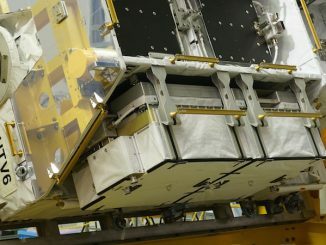 Both continued data collection after Scott’s launch and both will continue to provide samples well after the mission is over, helping researchers pinpoint changes that were the result of gravity, or its absence, space radiation and other factors. “That study is looking at a lot of important things between my brother and I, our physiology and how it changes over time,” Scott said last week. “One part of it is kind of a new area that NASA is getting into with this study, the effects of spaceflight on a genetic level. Along with figuring out how to mitigate the most harmful aspects of long-duration spaceflight, the designers of the spacecraft that eventually carry astronauts to the red planet will need to incorporate lessons learned from the space station to ease the psychological stress of such a voyage. Bolden said no decisions will be made about additional long-duration flights aboard the space station until researchers complete their current studies. Among the options are another year-long mission or perhaps an even longer stay aboard the station. And what of Kelly’s plans? He hasn’t said, but told reporters last week he plans to stay involved in space flight in some capacity.